Social, fair or even just plain partner-like cooperation? It seems almost as if the companies in the textiles sector are currently vying with each other to take on responsibility within the value-creation chain. At the same time, price dumping in the production process continues unchecked. Nevertheless, some concepts, new standards and sector meetings give reason to be hopeful of improvement in the day-to-day realities of textile workers. An exclusive article by Alex Vogt. The three Rs of waste avoidance - Reduce, Reuse, Recycle – are more than just empty words for the MUD Jeans label from the Netherlands; they are a firmly enshrined in the company's DNA. Since 2013, customers for MUD Jeans have been able to lease sustainably produced jeans rather than buy them. An innovative concept, entirely in the spirit of the circular economy, for which MUD Jeans, amongst others, were presented with the Sustainability Leaders Award in London. Designer, ecological and fair: this is something shared by all the labels that the Studio Jux & Co. flagship store has in its product range. The appeal of the multi-label retail outlet of the same name, which opened, in April 2016, in Amsterdam's chichi hotspot 'de Pjip', lies in its careful selection of products and minimalistic interior. A handbag made of mango, a lampshade made of peach – though it sounds rather like a fruit salad, in reality, it is an innovative concept that has been developed by graduates of the Willem de Koonijng Academie in Rotterdam: fruit leather. Using derivatives that come from a variety of different fruits, they have managed to generate a material which is very similar to leather. The student project emerged originally from an upcycling idea. "Craft of Use. Post-Growth Fashion"
Regarded as the founder of ‘Slow Fashion’, Kate Fletcher is professor for sustainability and in her current book she once more looks at how to work with fashion in a socially aware and responsible way. It focuses on the life of garments post purchase, telling the stories that our second skin might tell. Applying this to a business context, Kate Fletcher provides a catalogue of sustainability ideas for the use of fashion. How will the fashion industry change and what future mega trends will influence the next 15 years? This study by WGSN was published in May 2016 and shows that it is technology that has the biggest single role to pay in driving the creative industry forward to a sustainable and successful future. This is the point at which we introduce famous personalities whose work has left its mark on the eco-fashion sector. Michael Beutler is Sustainability Operations Director at the international lifestyle company, Kerning where lately on numerous occasions he has generated interest regarding sustainability related activities. For Michael we have three questions. The next chapter in the story of Europe’s biggest B2B platform for eco-fashion: the trade fair duo of ‘Greenshowroom’ and the ‘Ethical Fashion Show Berlin’ once more showcase the top labels of the sustainable fashion sector. Running from 28th to 30th June 2016 the Ethical Fashion Show Berlin’s anniversary event has ‘social aspects’ as its all-embracing main theme. For the first time Dialog Textil-Bekleidung is holding its CSR Day to coincide with the trade fair duo of Greenshowroom and the Ethical Fashion Show Berlin. On 29th June 2016 the DTB in cooperation with Messe Frankfurt is organising a symposium over one full day which takes as it motto ‘Responsible Management of Supply Chains - Social Compliance and Chemical Input’ and so adds value to the trade fairs with a B2B forum on the theme of sustainable fashion. 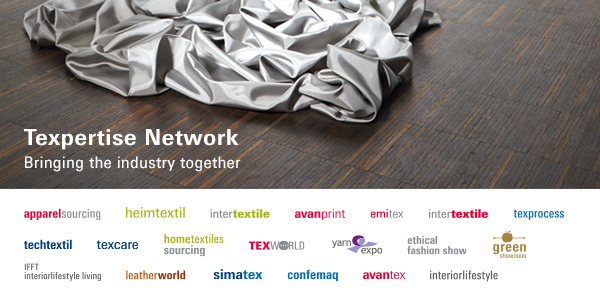 Texworld USA runs from 12 – 14 July 2016, the 20th time the show has been held as an international meeting place for professionals from the textile sector. The show takes place twice a year in New York and is the biggest sourcing event in North America for textile buyers, product developers and designers. With a global exhibitor portfolio including producers from Asia, the Middle East, North America and many other regions around the world, it offers trade visitors a broad-based platform covering the themes of textiles, sourcing and sustainability.